Carolyn has been an enthusiastic member of Sweet Adelines and the Hickory Tree Chorus since 1974. Although her formal education includes degrees in mathematics and computer science, Carolyn’s passion for music has woven its never-ending thread throughout her life. She has honed musical talents through years of piano lessons, an unofficial music minor in college and extensive musical instruction in vocal techniques, arranging and directing through Sweet Adelines International. An avid quartet singer with two Region 15 Champion Quartets — Sound Express (1978) and City Lights (1985), she sang baritone with Brocade for many years. In 2010, she made her debut as a bass singing with The Four Baris, placing fourth in Regional Competition. In addition, she served as Region 15’s Director of Musical Activities from 1987-1990. In 1990, Carolyn was accepted in the International Music Arrangers Program, where she continued to develop her arranging skills by providing arrangements for both adult and young women’s voices. Since that time, she has published nearly 30 arrangements, served on the International Music Arrangers Coordinators and review teams, and participated in numerous arranging workshops. In 2012, she was advanced to the level of Master Music Arranger, the highest honor bestowed upon arrangers in Sweet Adelines International. In 2003, 2005 and April 2007, Carolyn added the title “Championship Director” to her resume when Hickory Tree Chorus won first place medals in the Greater New York Region 15 Competitions. In April of 2000 Carolyn achieved the level of Master Director in SAI’s Director Certification Program. Carolyn is proud to have contributed to Hickory Tree’s 36 year record of top-3 finishes and their unique repertoire of entertaining music in the barbershop style. In 2011, Carolyn and the Hickory Tree Chorus earned the title of Second Place Mid-Size Chorus in SAI’s Harmony Classic Competition. 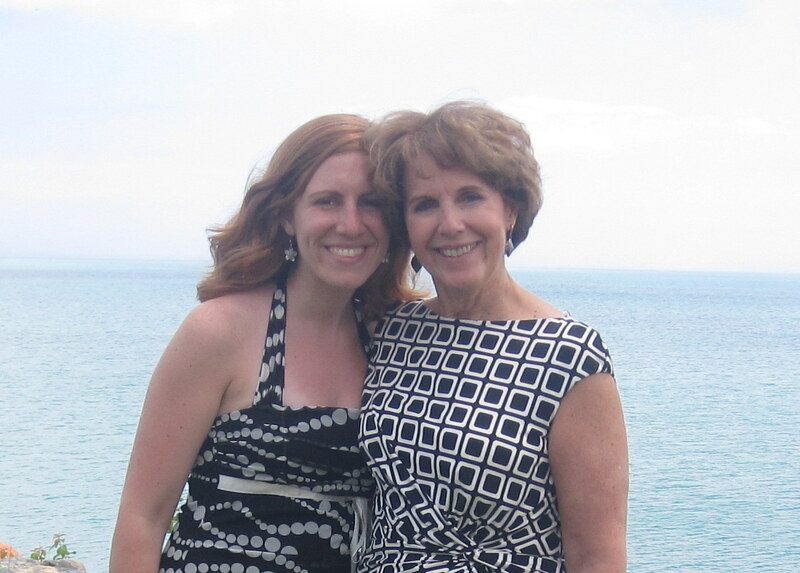 Carolyn shares the following about collaborations with one of her two daughters, Lauren Kahn: ‘Lauren spent her childhood listening to quartet rehearsals and late night arranging and attending her mom’s shows. At age 9, she began singing barbershop music with her sister in a girls barbershop ensemble and eventually participated in several Rising Star quartet competitions, placing as high as 3rd with Capriccio. In 2004, she joined my chorus and sang with us throughout her high school years before moving to Evanston, Il to attend college. For four years, Lauren was an active member of the Melodeers chorus. She now lives in Eugene, Oregon and directs the Greater Eugene Chorus.